Congratulations on your destination wedding in Jamaica! Now that you've chosen a Jamaican wedding, you'll need to know the legal requirements. A destination wedding in Jamaica is easier than you think. Your Jamaica wedding coordinator handles all paperwork prior to your arrival in Jamaica. 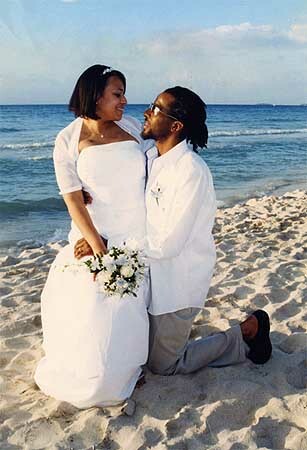 A Jamaica Wedding can be performed ANY DAY including weekends and holidays. No blood tests are needed for a Jamaica Wedding. DO NOT FAX Jamaica Wedding documents. Please note this information needs to be received in Negril at least thirty (30) days prior to your Jamaica Wedding date. A Jamaica Wedding can be performed ANY DAY including weekends and holidays. No blood tests are needed for a Jamaica Wedding. Any Jamaican wedding we organize is legally recognized by the United States, it's territories, the United Kingdom and Canada. • Notarized copies of birth certificate for both bride and groom. • Proof of divorce (if applicable) - Notarized copy of Divorce documents. • Notarized or Original copy of Death Certificate in the case of widow/widower. • Notarized copy of Adoption documents reflecting name change (if applicable). • Notarized translation of documents to English where originals are in another language. Upon conclusion of a Jamaica Wedding ceremony, the marriage officer issues a copy of the Marriage Certificate to the bride and groom. Within six (6)weeks subsequent to the ceremony, two (2) certified copies of the Marriage Certificate will be mailed to you.